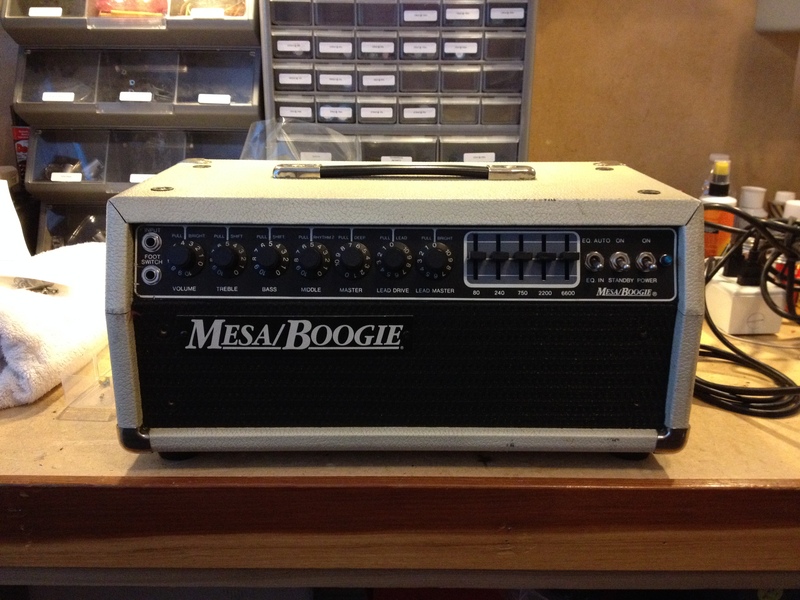 Mesa Boogie Mark III head from the 1980’s. 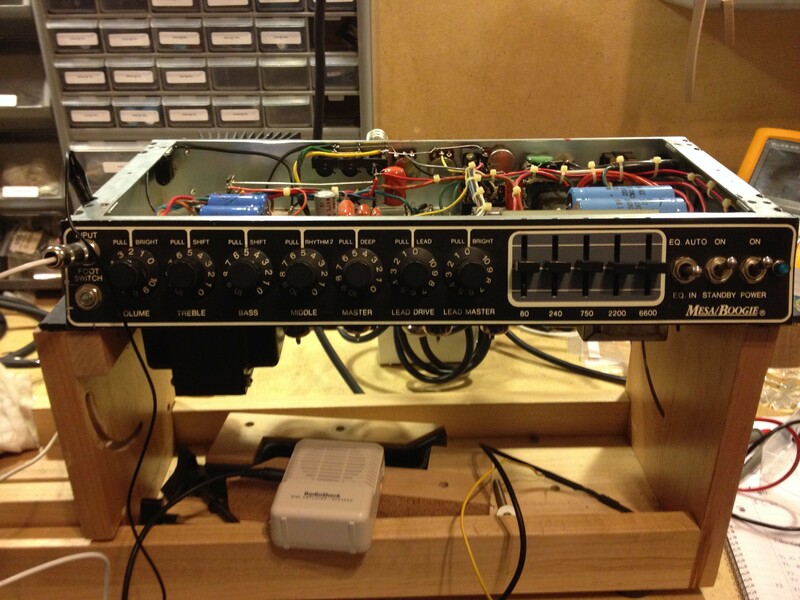 These Amplifiers are renowned for being incredible studio amplifiers. 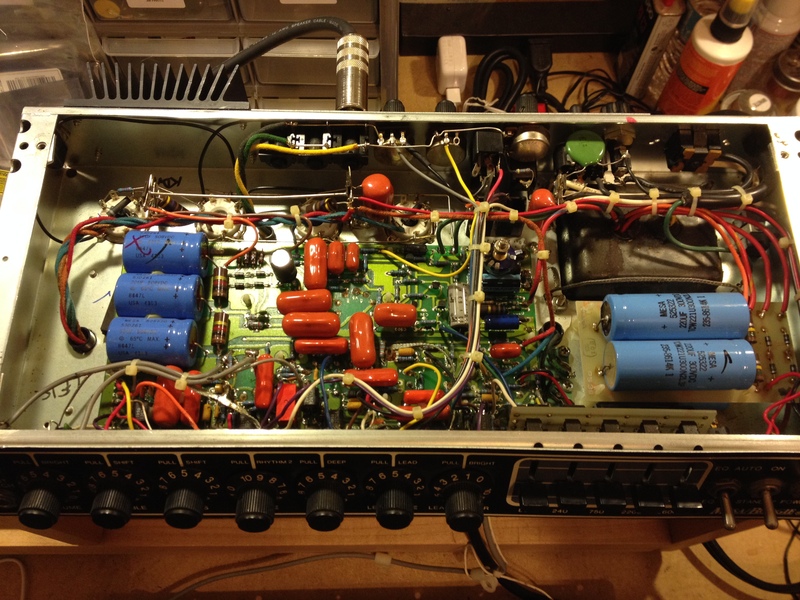 This amplifier came in for service with a blocking distortion on the reverb return. 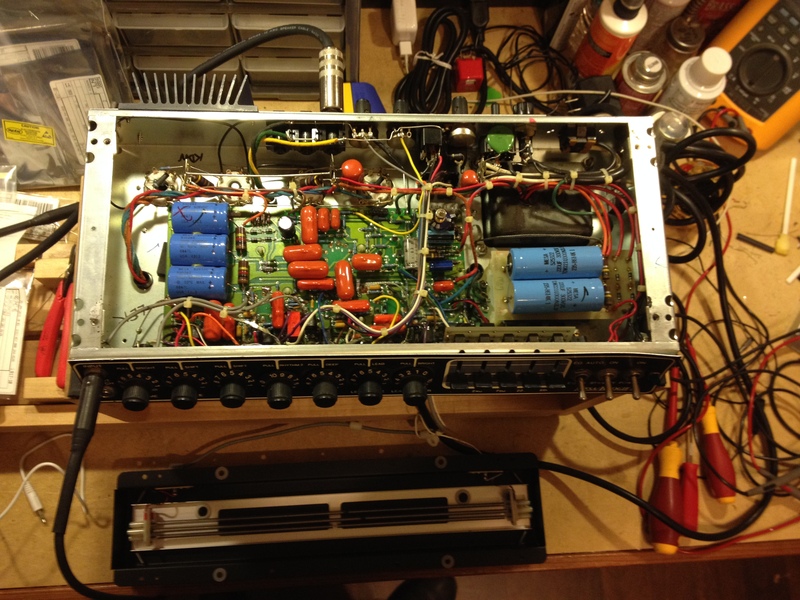 The issue was traced down to a faulty capacitor that was top mounted to the PCB and only accessible by removing the PCB, which meant unwiring about 75% of the amplifier to gain access to the bottom of the PCB. 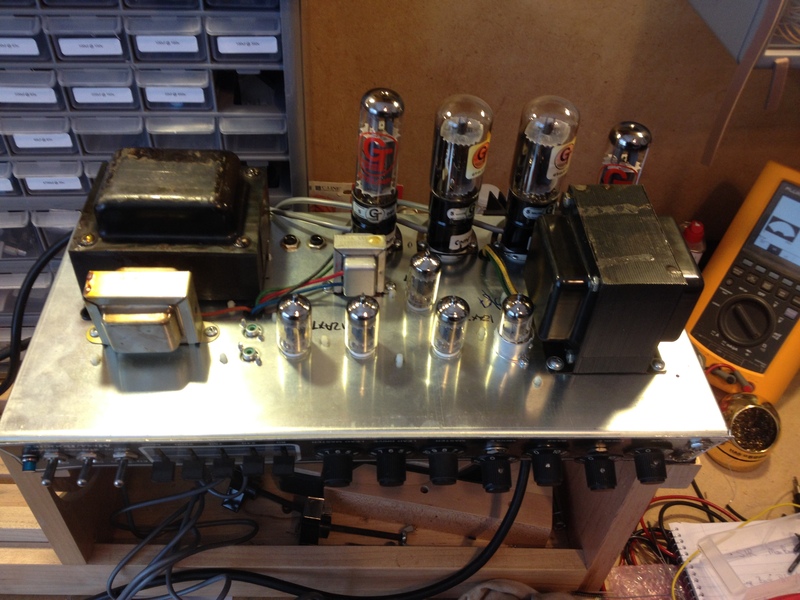 While in the amplifier, the bias was modified from the cold stock bias to an adjustable fixed bias, allowing the amplifier to be voiced and the tone to really come to life. 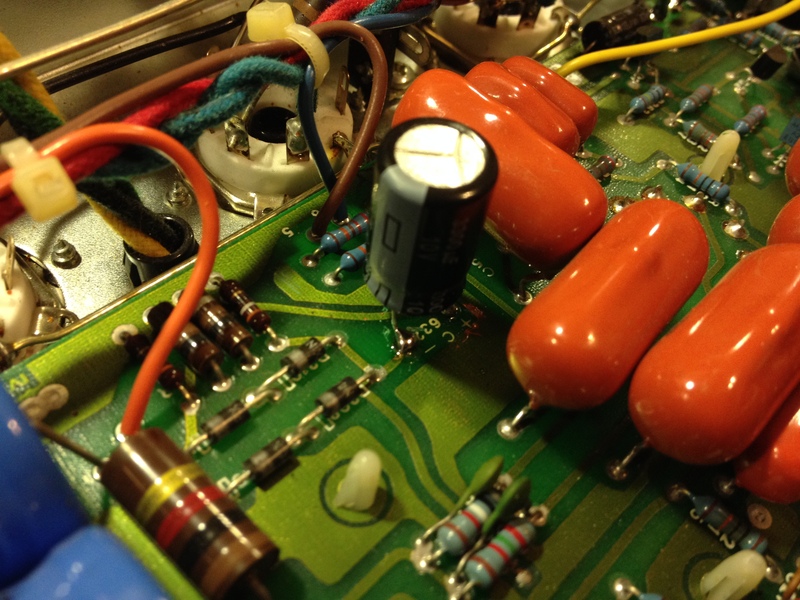 Electrolytic capacitor replacement (“cap job”). 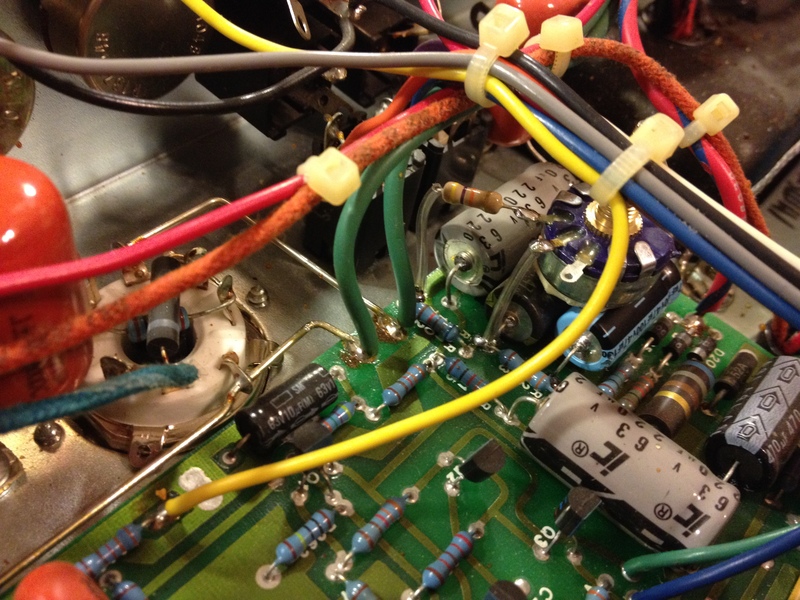 Replacement reverb tank – OEM specification.